Data connectivity is an essential part of any refurbishment or fitout with the need to connect technology in both a neat, tidy manner and a safe, available way. Vision Projects have been creating high quality turnkey fitouts for over 20 years and understand connecting your wiring and data need to be carefully considered. Server and data cabinets, wireless bridges, floor boxes and dado trunking are all different methods of containment Vision Projects can provide. 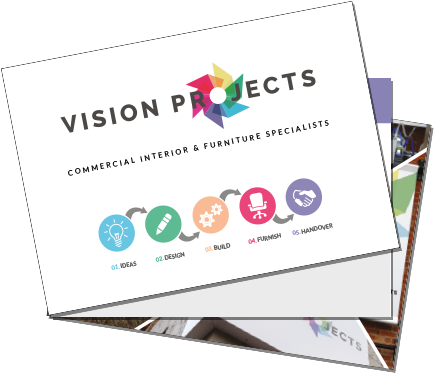 To discover our extended range of furniture collections and read more information on the Vision Projects design process from inception to handover. To request more information on our services or to discuss your project with the team, simply tell us your details and our team we’ll get back to you! I am happy for Vision Projects to use my information for this instance (responding to my enquiry).